Making money mining sand is tricky, but with the right approach, it is manageable. In fact, if proper steps are taken, you can ensure that your sand mine profits are steadily rising. In this article, we will examine two of the main aspects to steady sand mining success. Site selection, and proper technology use. Before anything else, a proper site needs to be secured. Of course, sand that is spherical and strong is ideal for fracking. States like Wisconsin have sandstone formations great for producing this kind of sand. However, they can come at a much greater price. Having a team of geologists to locate good sites at a lower cost can be beneficial. Do your homework, it will pay off. Additionally, be careful not to pick a site with too much overburden,or unmarketable material, what looks like a good deal at first may have overburden that will end up costing in the long term. The final thing to consider when picking a site is proximity to rail lines. If you pick a site near rail lines you can on shipping costs and increase profit margins. With software like aggHog, workers are able to have all the necessary data for improvement at their fingertips. Now that you have a proper site, it’s time to optimize your sand mine. With the power of software that utilized features like SIC, or short interval control, its possible to ensure your mine sees steady improvement. With software like aggHog, workers are able to have all the necessary data for improvement at their fingertips. This allows for more informed decision making and real time problem solving. 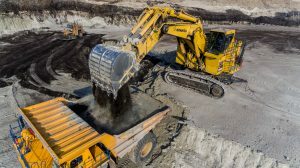 A sand mine full of connected workers receives real time updates and instructions; reducing wasted time and unnecessary errors. All these features, used on a daily basis, ensure that each day at the mine is more productive and profitable than the last. In an increasingly competitive industry, sand mines will be looking more towards SIC for the leading edge. aggHog is simple, powerful aggregate and quarry management software. To learn more and try it free for thirty days, click here.